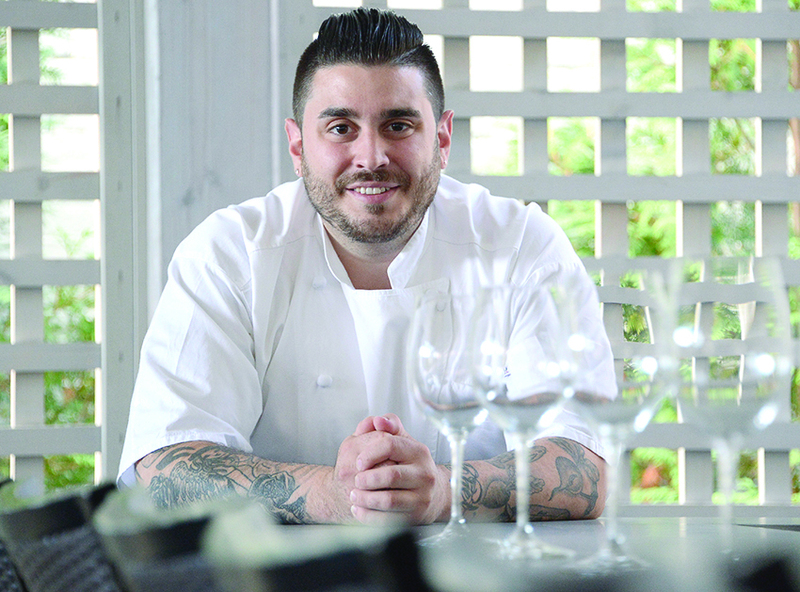 Michael Mastrantuono, executive chef at 15 Church restaurant in Saratoga Springs, is a native of upstate New York and a graduate of the SCCC culinary school. 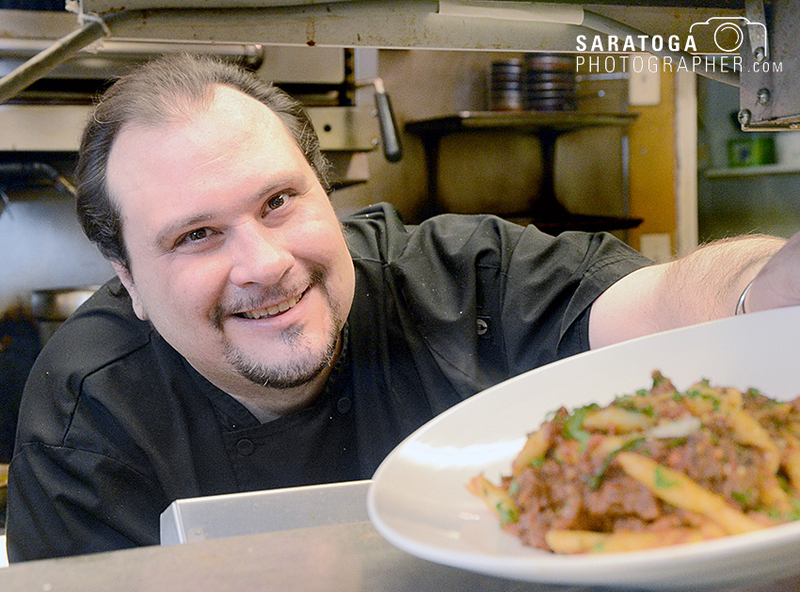 For somebody who thought he wanted to grow up to become a state trooper, the culinary talents of Michael Mastrantuono, executive chef at 15 Church restaurant in Saratoga Springs, are so hot, they could almost be against the law. Mastrantuono joined the team at 15 Church in July, taking the place of Brady Duhame. He worked long hours throughout the track season. As it turned out, the 2017 track season was 15 Church’s busiest and most successful yet. Only 27 years old, the Schenectady County Community College (SCCC) culinary school grad has rapidly been making a name for himself in the region, creating culinary magic at Indulge, MezzaNotte and Roux before arriving on the Saratoga scene. He was named one of Full Service Restaurant News magazine’s “40 Under 40 Restaurant Stars on the Rise” earlier this year. Michael is a native of upstate New York. He grew up in the small town of Greenville, surrounded by the tastes, smells, sights and sounds of Sophie’s, the family restaurant owned and operated by his father. Chef Danny Urschel has spent his entire work life in the food business, even before his graduation from the American Culinary Institute in 1996. “It’s something that I’ve always loved,” he said. He’s been in the restaurant business since he left the institute. Now he is the proud owner of Mio Posto, an intimate Italian restaurant at 68 Putnam St. in Saratoga Springs. He runs it with his wife, Heidi. He purchased the restaurant, located near the Saratoga Springs Public Library, in 2014. Before it was Mio Posto, the space was previously known as Lanci’s, and later 8 Tables. Prior to the purchase, Urschel had been assisting previous Mio Posto owner Danny Petrosino from time to time, especially during the busy horse racing season. 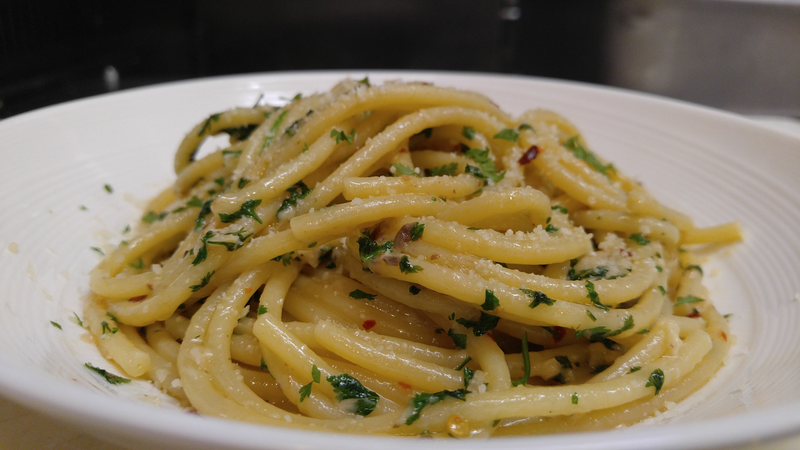 Mio Posto is an intimate space–just eight tables–that has achieved high popularity in the city. Urschel said it has been the top-rated restaurant on internet website Trip Advisor.